In 1987, Ferrari celebrated their 40th anniversary, and to mark the occasion launched arguably their most uncompromising road car ever – the twin-turbocharged 471bhp, F40. 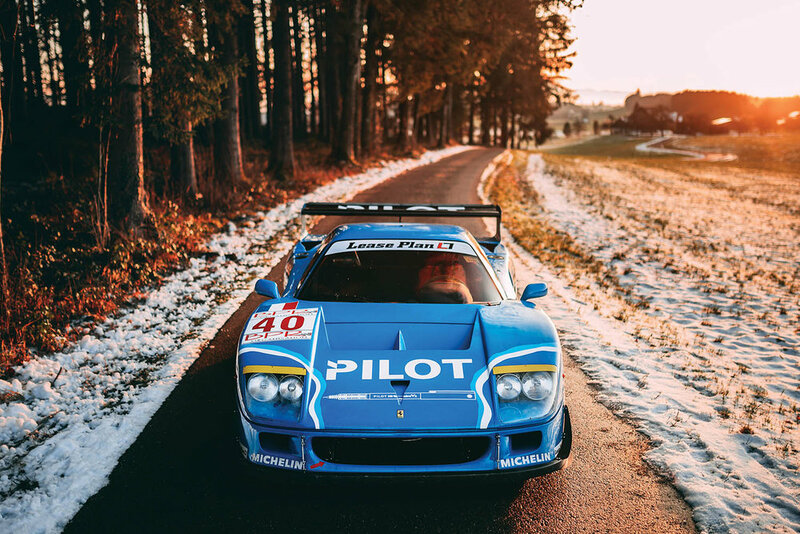 Borrowing heavily from technology developed for the still-born Group B 288 GTO Evoluzione, it was no surprise when the evocatively named F40 LM finally hit the track in 1989. 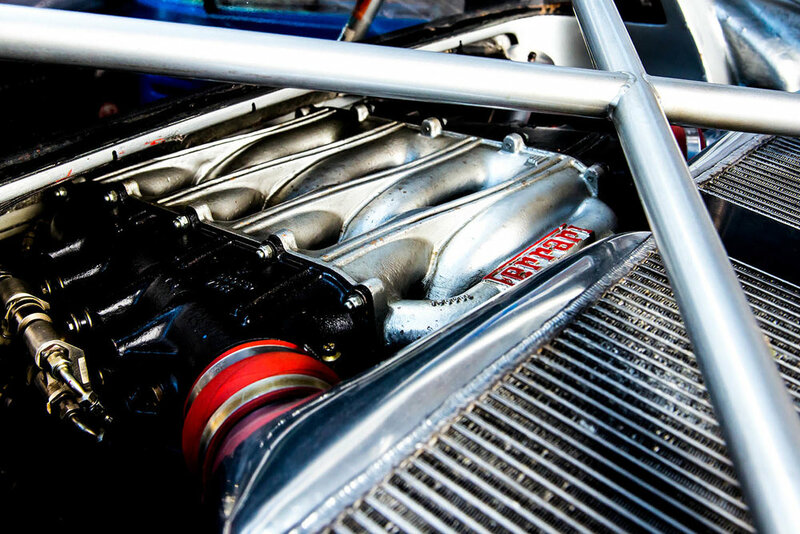 Developed by Michelotto, the F40 LM benefitted from enlarged twin turbocharger / intercooler units and advanced Weber-Marelli fuel injection, which increased power to over 700bhp. 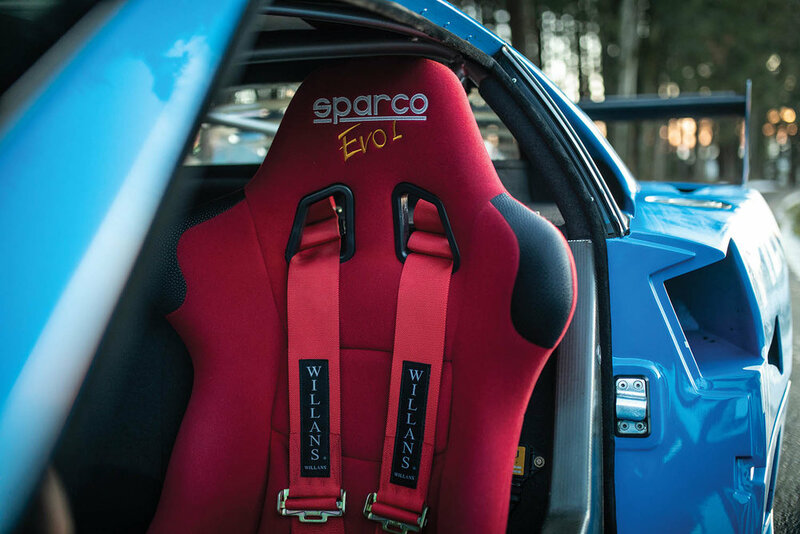 A corresponding reduction in weight resulted in staggering performance, whilst the car also featured extensive chassis stiffening, race-specification transmission, uprated brakes and extensively modified bodywork. This particular example has a fascinating and illustrious history. 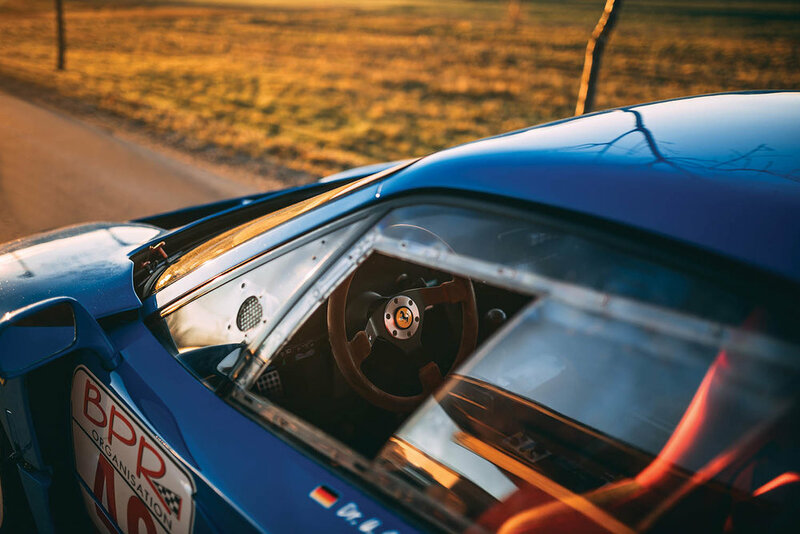 In 1995, the car was sold to GT Racing impresario Stephane Ratel who raced it in the European GT Championship that year, but in turn sold the car mid-season to the French Pilot-Aldix team for use in the BPR Global GT Series. Driven by the all-French pairing of Michel Ferte and Olivier Thevenin, the car’s top-line career started inauspiciously with retirements in each of the first four rounds of the series at Paul Ricard, Monza, Jarama and Nürburgring. 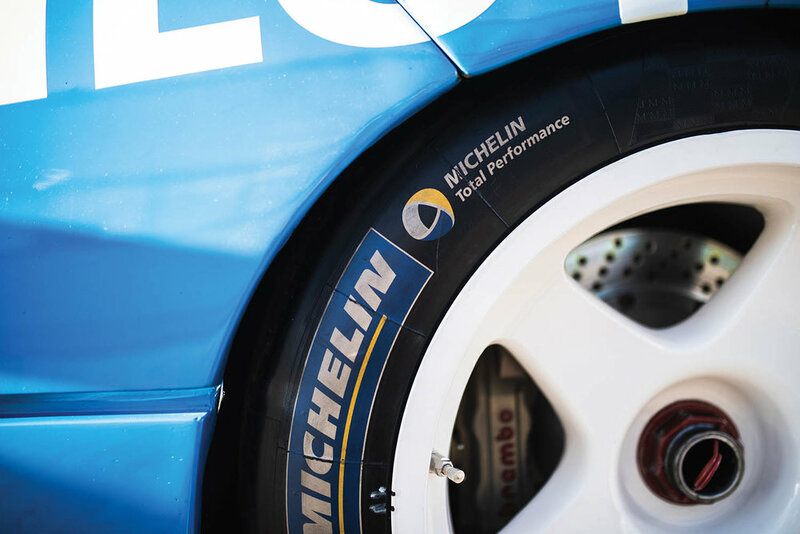 However, by Le Mans pre-qualifying in April, and with the car now patriotically re-painted in French Racing Blue, fortunes had improved markedly, with the team leaving the Sarthe circuit an encouraging fifth fastest overall, and fastest of all the GT1 runners. A little over six weeks later, the team qualified an excellent 7th for the 24 Hours of Le Mans itself, and 2nd in GT1 ahead of all seven of the hitherto pace-setting McLaren F1 GTRs. The race was blighted by wet conditions which played to the McLaren’s strengths, but nevertheless it finished a respectable 12th overall and sixth in GT1. 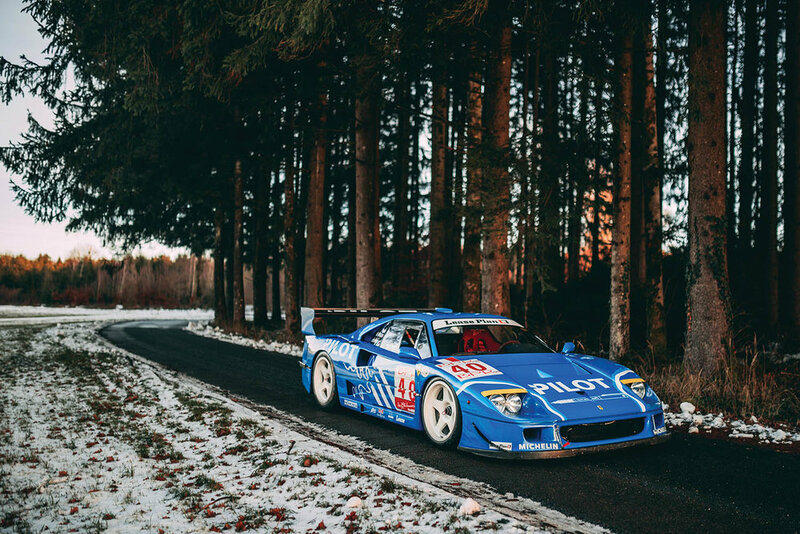 Significantly, this would prove to be the best result ever achieved by an F40 at Le Mans. A fortnight later, Ferte and Thevenin took pole position for the Anderstorp Four Hours and followed this up with an emphatic win ahead of the McLarens. A mixed end to the season saw retirements in both the Suzuka 1000 KM and the Zhuhai Three Hours, but also a highly creditable 2nd place finish in the Silverstone Four Hours behind the Harrods-sponsored McLaren of Wallace/ Grouillard. For 1996, the car uprated with a GTE-specification rear wing and a similar assault on the BPR series planned. Over the balance of the season, it was clear that the Italian Ennea squad had overtaken their French counterparts as top Ferrari team, with a 5th place at Jarama, 8th at Silverstone, 6th at the Nürburgring and a 3rd place at Nogaro, the highpoints of an otherwise trying year for Pilot, which included a DNF Paul Richard. At Le Mans, Ferte and Thevenin were joined by French journeyman Nicolas Leboissetier, although the proliferation of new breed WSC cars – not to mention the inclusion of Porsche’s controversial 911 GT1 – ensured that they would qualify no higher than 25th, prior to retirement in the race. 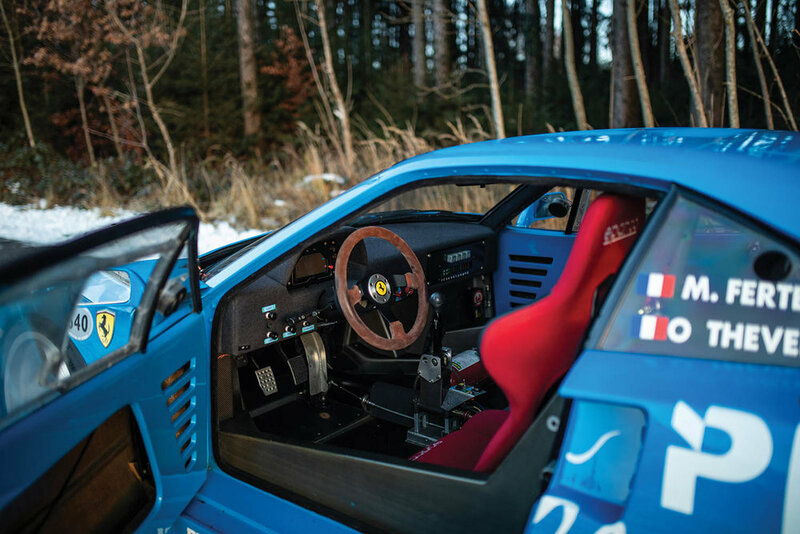 RM Sotheby's will be offering this 1987 Ferrari F40 LM at their upcoming Paris Auction on the 6th February. For more information on this and other vehicles at the sale, click on the link below. 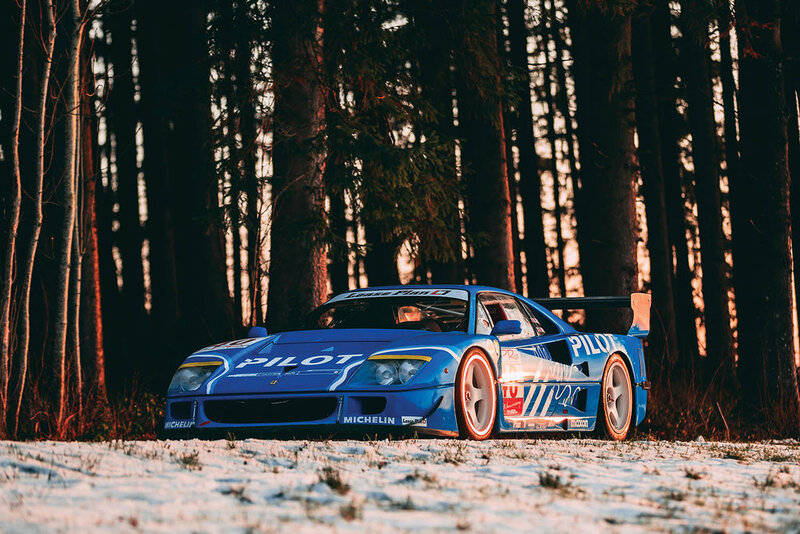 Photos: Stephan Bauer / Christian Wilkens ©2018 Courtesy of RM Sotheby's.